I have been trialling a few app creators for students to use. There are quite a few app_builder tools. Some of these can be found at my app_builder bookmarks on diggo. Each has its advantages and disadvantages and must be considered in context. All of the below are web based apps, not native apps. They listed below are in order of cost. The first one I used is the iBuildApp. The plan I am currently using is free. This tool would need the students to have more technical knowledge but allows for android and iOS devices. This is the app I designed. Recently I have been playing with tools that will also allow students to design ebooks. One of these is the Creative Book Builder. This blog post explains how to use CBB from the point of view of Bloom’s (from Appsinclass blog). The advantage of these tools is not technical understanding is required (WYSIWYG). The Creative Book Builder data can be converted to an app via the in-app purchase TouchApp Creator. The cost is roughly $10 (as you need to purchase both CBB and the TouchApp Creator). Considerations for me with these apps (apart from costing) is that the data is retained in the app on the particular device (not via login). As I am currently managing shared devices, this can be an issue. Additionally, it only creates for iOS devices (note: ebooks created can be converted to a PDF). A positive is the upload/export option using the cloud (eg. Dropbox). These are excellent apps that I can see would be simplest for the students. This is an example of a converted CBB to an TouchApp Creator app. The JS LIBRARY epub (image) data was then converted to an app. 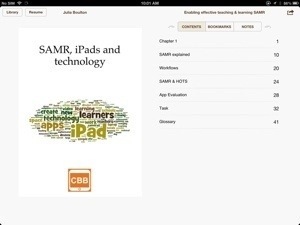 This SAMR SDS web based app was designed using TouchApp Creator from the converted data. 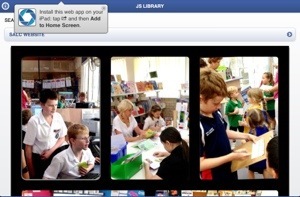 The JS LIBRARY web based app designed using TouchApp Creator. 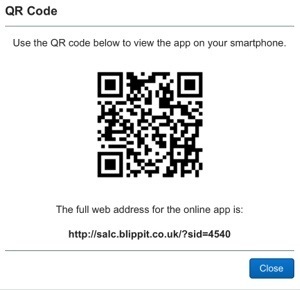 Finally, the most interesting choice to me, from an educational perspective, is Blippit as it allows me to manage and review student work before the apps are published. The cost is an annual subscription (online payment). The support has been very prompt and encouraging so far. 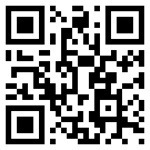 Screenshot of the QR code and link that is generated. JS LIBRARY app designed using Blippit. I can see great potential for our students creating their own apps to support their PYP Exhibition journey. Stay tuned for where we go from here.